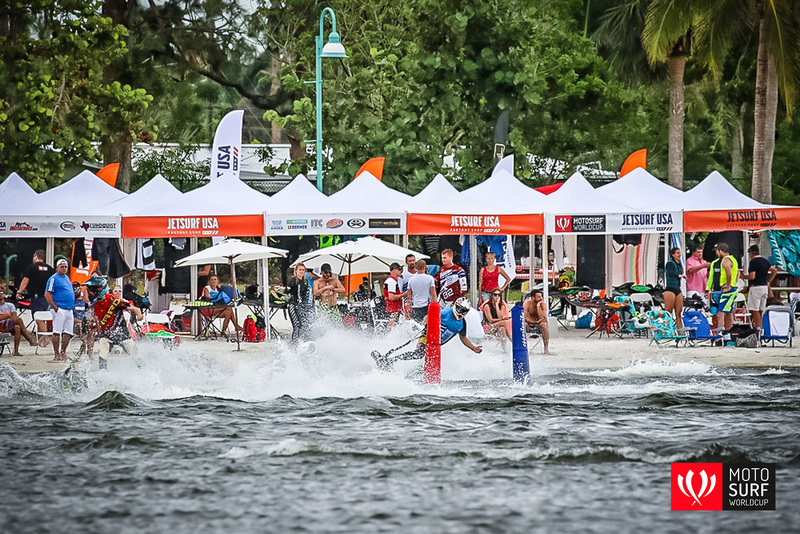 Fifth and the last stop of the MotoSurf WorldCup 2017 arrived in Florida. Naples hosted the season final giving the final answers on two very important questions – who will become the Men and Women class World Champion? For the season finals, MotoSurf series joined forces with the ProWatercross to bring the event to the beautiful Sugden Regional Park. Four protagonists in the men class still could take the World crown. Sebastian Kubinec came with a point lead from Lukáš Záhorský, Petr Vencovský and Jakub Kornfeil. The game was not over either in the women class, where reigning Champion Aneta Šacherová still had a chance to fight for the title against current leader Martina Bravencová. The weekend programme started on Friday with the qualifyings. Championship leaders of both classes went for the best of theirs and posted the fastest laptimes and got important confidence ahead of the final shootout. Sebastian Kubinec topped the men qualifying from Jakub Kornfeil and Lukáš Záhorský. All the rivals were so close so everybody was waiting impatiently for the heats. Martina Bravencová marked a record in the women competition and left Aneta Šacherová in 2nd. Just 16 years old Klára Sitarová surprised the field with 3rd spot finish. Going into the heats, Kubinec, Kornfeil and Záhorský dominated their groups. So did Bravencová and Šacherová and all the attention moved on the finals. Martina Bravencová went for the title without any mistakes. She opened a comfortable leading gap in both finals and kept going what she knows the best – fast and clean run. 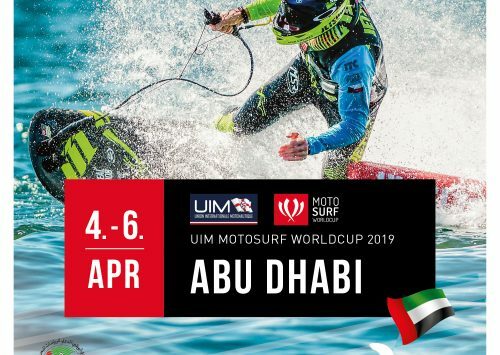 Double victory underlined Martina’s unbelievable pace and rider #22 brough Symbio+ Jetsurf Team the premiere WorldCup title. Aneta Šacherová scored two 2nd places for second in the race overally. What a surprise by rookie to the series Anya Colley. In just her third WorldCup race appearance, talented Briton #52 went for 3rd and 4th and claimed her first ever career podium. Men category was open until the end. Three main contenders Sebastian Kubinec, Lukáš Záhorský and Jakub Kornfeil all had a chance to leave the USA weekend with the crown. Kubinec – current championship leader topped the first final while Záhorský and Kornfeil finished 2nd and 3rd respectively. Kubinec made a step closer to his dream. In the second final, Jakub Kornfeil found a great rythm and grabbed the victory. Lukáš Záhorský came 2nd and Kubinec completed the top three. What a battle until the checkered flag. The Championship standings does not count the worst result of each rider. Erroneous news about the title results have had to be confirmed. Based on the final calculation, we saw a record of the Motosurf racing history. First two riders in the standings were tied on points. Kornfeil vs Kubinec. However, Kornfeil scored one more victory throughout the season so the title goes to his hands. 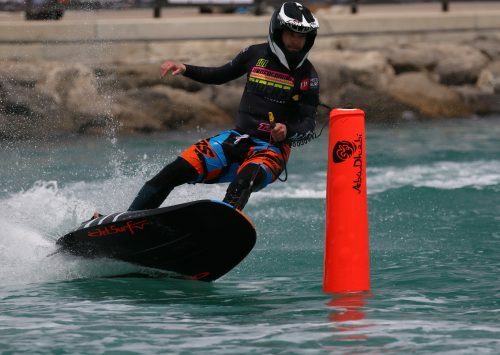 Jakub Kornfeil #84 from Jetsurf Factory Team becomes the World Champion for second time in his jetsurfing career.